With all the hype in the media surrounding “fake news,” it’s more important than ever for brand managers of established companies and startups to quickly validate new technologies and innovation as part of a “go-to-market” strategy to the media and why thought leadership press strategies are vital for brands to compete. 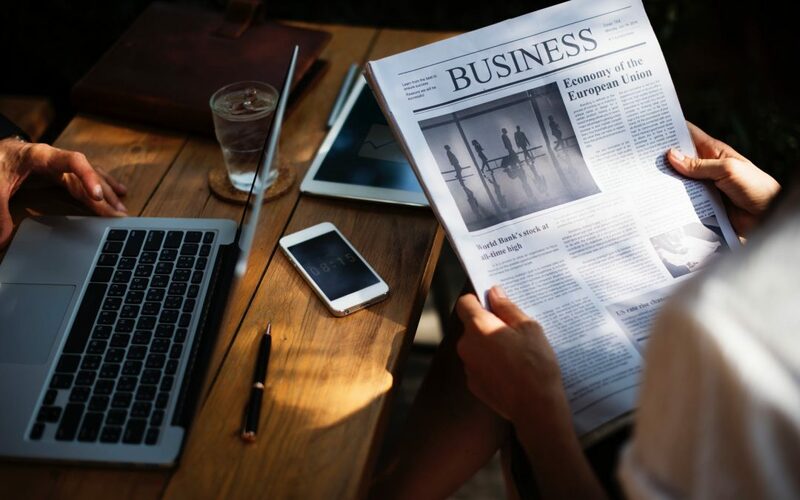 Business and technology press is a proven way to engage with target audiences, as well as confirm the value of domain authority in an ever shifting, algorithm-driven, digital world. Tech PR, as its buzz-worthy title suggests, provides insight across all industries impacted and disrupted by the newest technologies, as well as forecasting what tech-savvy futures are in store for us, at least for the next five years or so. When brand managers are looking to attract funding, users or market share, press coverage is the most valuable qualifier in the market. Both regional and national news outlets carry weight and influence in the digital age of communication. All creditable and influential outlets have a digital platform today, which is most different to how we archived coverage fifteen years ago. I don’t have to tell you Google loves good authoritative content. And that’s why we SEO (search engine optimise) every last bit of it. Unfortunately, we see this often in the PR world, where the traditional in-house agencies are not connected to the media as you would expect. This makes it difficult to respond in a crisis or to simply succeed in the media machine of today. For example, a global legal firm investments appear as stories in trade publications as part of their marketing strategy, as they have for decades. And although, they do get a few pieces of paid-for coverage a month, this tactic doesn’t seem to warrant a return, as the reader of this publication is not the target audience or potential client, only an update to your competitors about how your staff and business is performing, or not performing, depending. So, who’s talking to your customer? Thought-Leadership. It’s time to educate. Even a well-written press release won’t attract a journalist’s interest, as it would have in the past. Journalists are inundated with requests for coverage, and most don’t have the time or interest in doing the proper research it would take to build a complete and compelling argument for or, even worse, against your business. With the rise of digital profiles, journalists are tech savvy enough to determine who is credible and who isn’t. To speak directly to the C-level suite, you must first find publications that resonate with the business decision makers in your target markets. Many of our clients have a proven track record in investing, M&A deals, startup innovation and they are using their insight and proven track record to speak about upcoming challenges and solutions in technology. Thought leaders in today’s digital economy are driving impact for consumer growth and are also influencing share prices and valuation. Company leaders and marketing departments want to be thought leaders, but often have a hard time getting there, because the media landscape has shifted so drastically in the last five years. Real thought leadership challenges the status-quo and educates markets to new innovation, technologies and initiatives that are impacting decisions across sectors. Many businesses will spend on content such as white papers, e-books, infographics and more to illustrate industry knowledge, but fail to get it to the masses to directly influence sales and growth. These investments become fuel to PR campaigns, where journalists want to quantify articles with data and case studies, illustrating proof of concept. In today’s market, new technology is being developed around the world to solve complex business challenges in financial services and banking markets. Influencing traditional banks to consider or trial new technology is a slow process, often met with complacency, investment in out-of-date software, leaving companies on the back foot at the peak of the digital revolution. Thought leadership published in trade publications is content marketing on a digital scale. With this position, your opinions can help to shape business media trending topics. Our acronymic-driven industry is looking for the latest in AI, VR, Fintech, Agtech, Crypto and so on, and your executive insight is valuable at this stage. You can empower, lead and promote your company brand whilst increasing your personal profile in return. Technology is impacting multi-markets, creating editorial opportunities in top publications in global markets, as enterprise and startup brands will expand in 2018. The core of thought leadership is to challenge the status quo and to share a vision for the future of technology. Implementing a PR strategy in today’s market is maximised by using social media channels as advertising channels to promote the branded content. This strategy attracts both traditional press coverage and digital promotion, allowing our campaigns to impact readers with PR directly where they spend their time online. SEO, social promotion and Google Adwords are a few of the methods to influence complex social algorithms. It is equally important to encourage the entire organisation to participate with social channel activity to directly influence engagement. Our strategic vision is to raise the profile of our clients to directly influence return across departments. Do you need to take your brand to global markets?